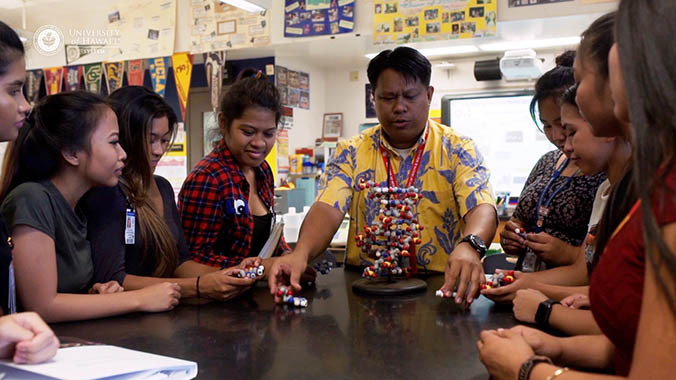 The University of Hawaiʻi has launched a multi-media campaign aimed at addressing Hawaiʻi’s teacher shortage. “Be a hero. Be a teacher.” encourages high school and college students, as well as working professionals, to consider the importance and benefits of the teaching profession. The “Be a hero. Be a teacher.” campaign also uplifts current teachers and reminds everyone how important teachers are to our society. Hawaiʻi Department of Education statistics show mounting vacancies over the past five years, from a shortage of 334 in the school year ending 2013 to 531 in 2017. Posters have also begun going up at UH campuses and public and private schools across the state. The videos and posters are meant to drive future teachers to the Be a Hero. Be a Teacher. website that showcases the pathways and programs available at UH to gain teaching credentials. 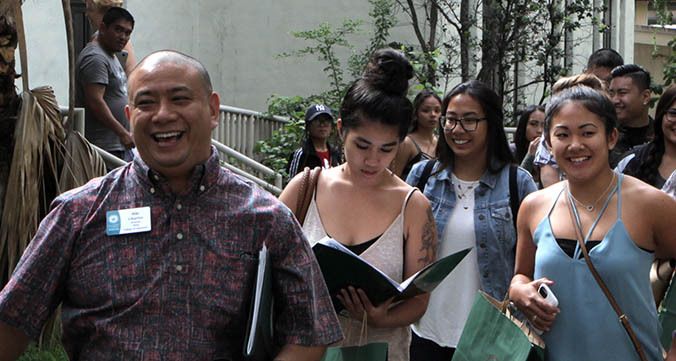 Four UH campuses offer teacher credentialing programs; UH Mānoa, UH Hilo (School of Education and Kahuawaiola Teacher Education Program), UH West Oʻahu and Leeward Community College. There are currently more than 12,700 public school teachers in Hawaiʻi who can all be considered heroes. One of them is Jennifer Hudson, a third grade teacher at Ala Wai Elementary, who graduated from the UH Mānoa College of Education in 2012. She thinks the “Be a hero. Be a teacher.” campaign is a great way to get people to consider a career in teaching. “It is a great way to spotlight the profession by highlighting many of the benefits available today,” said Hudson. “It is something that I have a tremendous amount of passion for because you really are making a difference in so many lives.” Hudson is quick to acknowledge that there are many challenges, but they are outweighed by the rewards, such as former students returning to visit, including those from her time as a student teacher. One of the heroes of the “Be a hero. Be a teacher.” campaign was Ernest “Niki” Libarios Jr., the UH Mānoa College of Education (COE) director of the Office of Student Academic Services. 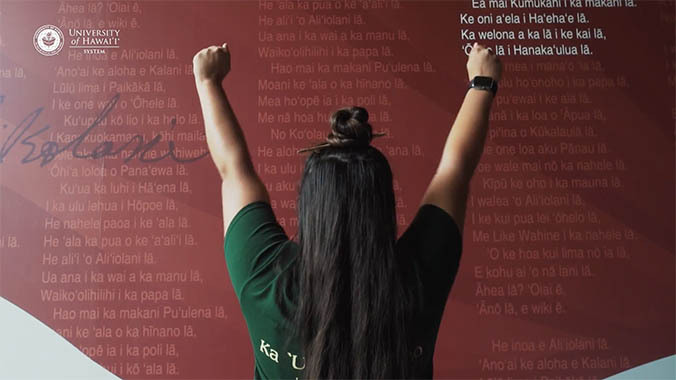 Libarios led a faculty discipline group on education, represented by educators at the four UH campuses, to develop the campaign, produced by local advertising firm Kai Media. Libarios is responsible for the direction of the campaign, getting people excited about becoming a teacher, according to Denise Nakaoka, who worked with him at the COE Office of Student Academic Services. Libarios also recruited many of the teachers and students in the videos and also appeared himself, which helped keep the project affordable. Libarios unexpectedly passed away at the age of 47 just as the campaign was launching. The slam poet version of “Be a hero. Be a teacher.” includes a dedication to Libarios at the end.